Reports have surfaced detailing to recent discoveries that could expose the false flag and cover-up suspected by truthseekers. 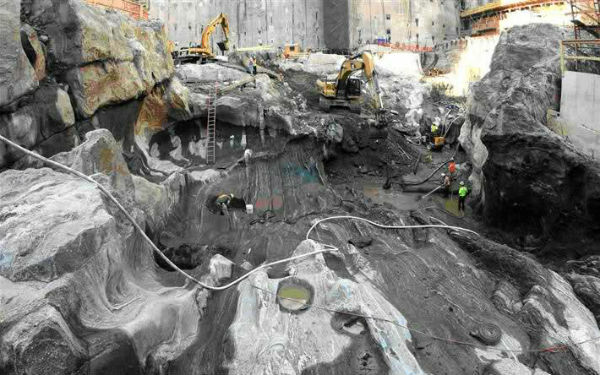 There has long been controversy and conspiracy theories surrounding the9/11 Twin Towers disaster back in 2001, but reports have surfaced detailing to recent discoveries that could expose the false flag and cover-up suspected by truthseekers.State Of The Nation reports that massive caverns of ‘melted grante’ have been dug up deep within the cavity of the Ground Zero site and this raises questions whether the Twin Towers ‘were caused by thermo-nuclear explosions detonated to obliterate the steel reinforced, cast concrete, tubular core structures’.According to the Mineralogy Society of America, granite melts at 1215 to 1260 degrees Celsius (2219 to 2300 degrees Fahrenheit), and it is further speculated that these craters beneath the World Trade Centre foundations and the collapse of the steel supports would only be possible with a bomb blast using thermite and nuclear weapons. But most controversial and shocking of all is a mass ‘data dump’ by Russia, where files and archives containing crucial evidence pertain to a false flag operation by the US government, in a coalition with the UK and Israel, have become available on Russian social media and the rest of the internet. The information comes as Putin has come under fire for the pro-separatist movement in Ukraine and suspected involvement in the MH17 Malaysian airline crash – leading to US and EU invention and calls for sanctions. “This 9/11 data dump is so radioactive the US Government will likely collapse”. “It appears that Russia has been conducting systematic data dumps on 9/11, the release of which represents more factual information on the attacks than any US Government source”, reports The Truthseeker. 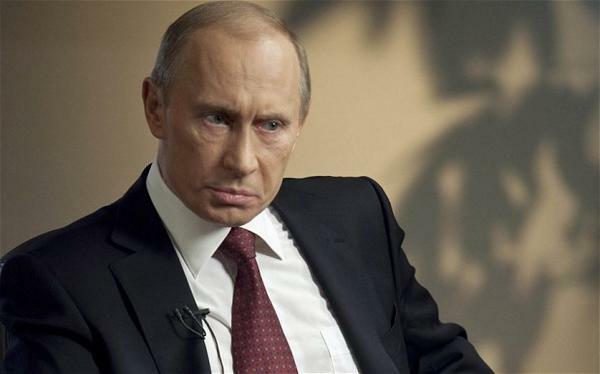 “Since Vladimir Putin has no intention of starting World War 3, he can only respond to US-EU meddling by using asymmetric warfare on the internet”.“Because the Obama Administration has shown no sign of aborting its planned takeover of the Ukraine, Russia is left with very few, but still potent options”.The news comes following the release of a highly classified report by Russians, which details of radioactive materials found at the WTC site and the allegedly supply of nuclear weapons traded by the US to Israel. Alternative news website Veterans Today Senior Editor Gordon Duff cites the document obtained from Russian sources, dubbed ‘Too Classified To Publish’, which reads, “According to a retired FXX agent specializing in Israeli counter intel: The type of nuclear devices used on 911 were a modified version of the W-54 nuclear artillery shells that were covertly provided to the Israelis between 1988 and 1998 from US surplus stockpiles illegally exported during the Bush/Clinton era”. “The primary purpose of the nuclear weapon used on 911 was to produce a massive Gama ray / neutron flux that would vaporize about 150 to 300 feet of 6 inch thick steal I beams that constituted the central core of the WTC buildings”. The report, if true, will ultimately expose the American public and the world to the horrifying agenda of the governments and potentially topple the leadership. “This 9/11 data dump is so radioactive the US Government will likely collapse”, said an anonymous 9/11 investigator. “9/11 was an Anglo-American black operation executed in collusion with Israeli Secret Service”.